Nothing gets rid of stress better than a relaxing day at a spa and there is no shame in spending some extra money on self-care. You work long hard days and deserve to reward yourself with a day of pampering. Whether you splurge on a facial, massage, or a full package, spa days are the best days. Elyon Boutique Spa has a long list of massages and skin care treatment services that will help relax your mind and body and keep your skin in tip-top shape. They’re also one of the few places in Charleston certified in the Dr. Christine Schrammek Green Peel which has been known to transform skin. Their services are totally customizable to fit any budget or needs. This full-service day spa is located in the Francis Marion Hotel across from Marion Square in downtown Charleston. A day at Spa Adiago will leave even the most stressed person feeling rejuvenated and renewed. Some of their services include full body massage, aromatherapy, wrinkle lifts, facials, wraps, lash lift, and so much more. If you’re looking for a luxurious spa experience, the Charleston Place spa is the one for you. You can expect full body rejuvenation that will soothe your limbs, boost your energy, and dissolve tension from a variety of energizing treatments. They also have a full-service salon for all your hair needs. Stella Nova has three different locations around the Charleston area with highly skilled massage therapists providing top notch service. A visit to any Stella Nova will satisfy your body and soul after you receive any of their treatments. They have an extensive list of hair services to leave it feeling healthy and shiny. All therapies are customizable to your needs. The self-proclaimed luxurious wellness retreat does NOT disappoint. It’s the newest spa in Charleston and it came to wipe out the competition with a full list of relaxing services. They offer eight different massages and three different massage enhancements including CBD balm for all those currently obsessing over CBD oil and the amazing benefits. Want to try a gold facial? They’ve got it. A rose quartz facial? Check. Go ahead. Book your appointment guilt free. We all need a little r&r sometimes. If you’re a fan of live music, there are plenty of great places in Charleston for you to enjoy a show. I mean we’re home to Hootie & the Blowfish, so duh! These are just a few of the best places in Charleston offering great live music, Charleston vibes, and sometimes (fingers crossed) free entry. Charleston Pour House offers one of the best live music experiences in Charleston. Their mission is to be the “regional epicenter for music lovers, artists, and other like-minded individuals”. They welcome local musicians and touring bands of all levels to their stages. On a nice day, you can catch a show on the back deck in the afternoons and early evenings. Don’t worry though, the music doesn’t stop when the sun goes down, it just moves inside. Located in the building that was once the local source for commercial ironwork, the Royal American welcomes music acts of all levels. They are home to some seriously delicious bar food (you have to try the beef jerky), cheap beer, and some of the best live music acts in town. Royal American is proudly a dive bar located on Morrison Drive on the outskirts of downtown Charleston. Named for the definition of Revelry – lively festivities, while enjoying beer – this venue is where you want to go if you want a large selection of local beer, an upstairs deck that screams Charleston, and some awesome live music. It’s truly a Charleston gem and definitely a local favorite. What happens when you combine a Brooklyn legend and a group of hospitality pioneers? Uptown Social. It’s one of the hottest bars in Charleston and with good reason. They have a total of four bars which means you can grab a drink without missing any of the show whether it’s downstairs, upstairs, or on the back deck. Helpful hint: GET THE PIZZA. One of the best bars on King Street, Dispensary offers nightly live music, killer specials, and a mouthwatering brunch on Sundays. There’s nowhere else you can enjoy $6 burgers and fries, $3 bourbon, and some of the best local music acts, but here. As soon as you order a drink the staff makes you feel like a friend and the atmosphere is one of the best in Charleston. Grab your friends and head to one of these venues to catch some pretty amazing talented musicians. First, the union tried to take our jobs, now this . . . Since Boeing came to the Low Country, we’ve seen a lot of great things happen, and we’ve all felt enormous pride that our neighbors make what is generally considered to be a game-changing airplane, one of the most sophisticated products made by any company anywhere. Charities, schools, and numerous other organizations have benefitted dramatically from Boeing’s corporate philanthropy. Hardly a day goes by that we do not see some worthwhile group or cause get a much-needed shot in the arm from the generosity of Boeing and its employees. As important as anything, though, Boeing has provided thousands of our friends and neighbors with jobs that pay well and bring with them great benefits. The impact on those families has been dramatic, but the good news hasn’t stopped there. Boeing employees have bought houses and new cars; they’ve gone out to eat, and they’ve shopped at thousands of small businesses in the Charleston area. Simply, the economic impact of Boeing in this region has been explosive and has made our community a better and more prosperous place. That should make folks happy, huh? Well, apparently not if you are the International Association of Machinists. You remember them, don’t you? That is the union that asked the National Labor Relations Board to stop Boeing from bringing 10,000 jobs to Charleston. They are the people who said South Carolinians were basically too stupid to make airplanes. Yeah, those people. Well, we weren’t at all surprised to see the union complain about Charleston’s non-union employees getting larger bonuses than the IAM’s Boeing members. That’s right. Boeing’s non-union members got much larger bonuses than the union members, and the union is mad. We wondered how that was possible, so we reached out to a couple of lawyers we know to see why the union employees didn’t do as well. Here’s what we learned in a nutshell. Unionized employees are under a contract, and the contract spells out what they get. So, when the company does really well and wants to give bigger bonuses to its employees, they can’t if those employees belong to a union. Non-union employees, on the other hand, can get larger bonuses, and that’s exactly what happened. If you think that’s bad enough for union members, you haven’t heard anything yet. One of our friends told us that if the company even tried to give the union members a larger bonus, the union would immediately file a complaint with the NLRB to stop them, a complaint the union-friendly NLRB would be all too happy to support. So, the same union that tried to stop Charlestonians from going to work at Boeing now complains when those same folks get larger bonuses than union members. And that same union would file charges against Boeing in front of the NLRB if Boeing tried to give union members more money. With friends like these, who needs enemies. Couldn’t quite swing the trip down to New Orleans this year? No worries! Charleston knows how to throw a good Mardi Gras celebration too. The largest Mardi Gras in Charleston, Folly Gras, is back this Saturday and every year the festival brings thousands of people to the city of Folly Beach annually. The festival includes local vendors, crafts, live music, drink specials, and an all around good time. There will be three stages with different musical acts including Candy Cigarettes, Dangermuffin, Sundy Ledford, and more. Festivities begin at 10am on Saturday the 23rd with the Folly Gras parade, and wrap up around 4pm. Admission is $10 per person but free for Folly Beach residents and children. Parking is limited so the city of Folly Beach is encouraging visitors to take Lyft or Uber; Lyft coupons will be available at the festival. Check out this video to see some highlights from Folly Gras last year! If you’re looking for a fun filled day with great energy and crazy costumes then Folly Gras is definitely the event for you! Looking to keep the party going? here are other Mardi Gras celebrations also happening in Charleston in the coming weeks at The Royal American, Lola Cajun Food, and Frothy Beard Brewing Company! What’s better than happy hour? Happy hour with oysters. Tucked away in Charleston’s Historic Elliotborough neighborhood, Chubby Fish proudly serves local sustainable seafood and produce. For happy hour, Tuesday through Saturday locally-sourced, shucked-to-order oysters are only $1. Even better, you can pair them with $2 Tecates or $6 glasses of Oysterman wine from French importer Frederick Corriher. Located on King Street, pedestrians can see the stunning interior of the Darling Oyster Bar from the huge windows looking into the restaurant. During the week, from 4 p.m. to 7 p.m., select oysters are only $1. Sit at the raw bar for a great view of King Street while enjoying a $2 Miller High Life Pony alongside your dollar oysters. Tucked away in the newly renovated 19th-century cigar factory, Rappahannock Oyster Bar offers half-off oysters from its Virginia farms and $1 dollar select oysters Monday through Friday, from 4 p.m. to 7 p.m. Discounted bar snacks, as well as beer and wine selections, go along great with the bivalves. Known for its top class seafood, at top class prices, Charleston residents and visitors can experience the well-known seafood mecca with half-price oysters from 5 p.m. to 6:30 p.m., Tuesday through Friday. It’s hard to find a better-priced dozen of half-shells than Amen Street with dozens during happy hour (4 p.m. to 7 p.m. on weekdays) only costing $9.95. Pair that with house liquor drinks for $3 or High Life Bottles for $2 and there’s no better deal on the peninsula. Next time you and your co-workers want to have an after work adult beverage head to one of these Charleston oyster happy hours and pair your favorite seafood with a delicious beverage. Last week the South Carolina Senate decided to not move forward with the consultant responsible for the vetting and research for the possible sale of Santee Cooper, a move that could leave the 2 million direct-serve and co-op customers of Santee Cooper responsible for the $8 billion debt they owe. 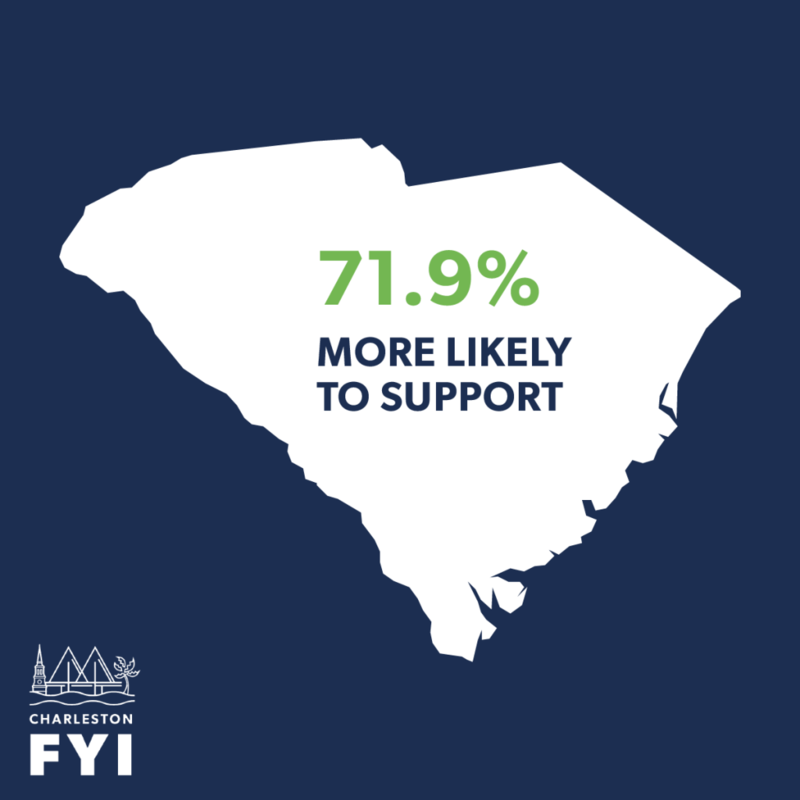 Despite this decision, S.C. Club For Growth, a group of South Carolinians whose mission is to promote economic growth in the state, recently released a poll that showed overwhelming support for the sale of Santee Cooper among informed voters. Nearly three-quarters of the state was more likely to support the Santee Cooper sale if a private company agreed to pay down the $8 billion debt and prevent customers from carrying the weight of paying down the debt. However, the poll also found that a large amount of the state is still unaware of the V.C. Summer Project that caused a majority of the debt owed by Santee Cooper. The poll showed that only 48.3% of the state is even aware of the debacle. And, when you look at just Santee Cooper and co-op customers, that number is even lower. With news of the South Carolina Senate not wanting to move forward with ICF Consulting, the future of Santee Cooper continues to be unclear. 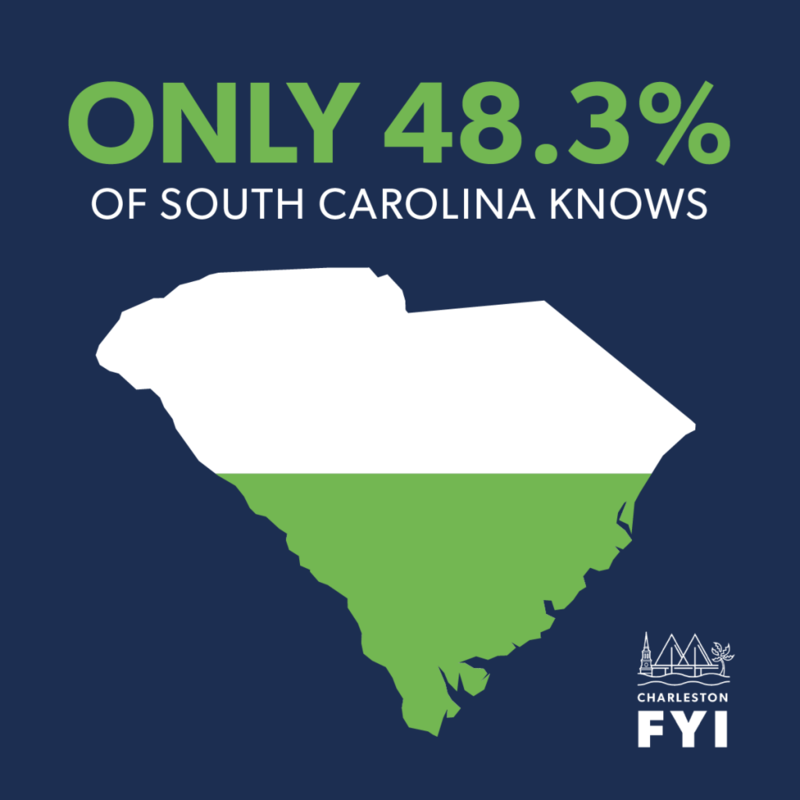 And, as more South Carolinians become aware of the billion dollar problem and the effect it may have on them, frustrations will continue to grow and support for the sale will increase. One of the hottest trends sweeping every city in America is what’s called “co-working.” If you aren’t familiar with co-working, it’s essentially an office space that takes “sharing is caring” to a whole new level. Rather than a single company hiding away in a lonely space, co-working spaces house multiple companies in a common area. This fosters a greater sense of community and idea-sharing among innovators and dreamers. Here in Charleston, we have no shortage of dreamers looking to create the next big thing, as the number of tech startups in the Holy City has been booming in recent years. And as we get into 2019, it’s clear we aren’t slowing down: the Tech Tribune recently listed the best local startups of the year so far, highlighting innovations in accounting, marketing, and cybersecurity to name a few. As startups continue popping up in Charleston, many may struggle to find affordable office space while they get on their feet. That’s why co-working spaces are such an attractive option. For many people, “co-working” is synonymous with WeWork, which happens to be the most prominent co-working company in the world. Charleston currently doesn’t have a WeWork, but at the rate the company’s been expanding, it’s not hard to imagine they could one day launch here. But WeWork’s had some controversies lately that suggest it might not fit in with our local culture. There’s criticism that the company’s CEO Adam Neumann has been personally profiting off WeWork’s rent, which could be a conflict of interest. Also, the company recently expanded into education and housing, and in the process rebranded as “the we company.” The only problem? The WE organization– a Canadian charity – already has the “we” brand and has been in the education space for decades. Whether or not the big co-working office spaces, such as WeWork, fit the mold of Charleston’s tech scene – many startup entrepreneurs may still be wondering where they can go. A basement? A coffee shop? The back of a car when they’re stuck in traffic on I-26? Luckily, there’s an answer: we have local co-working spaces already. According to CHS Today, there are a variety of amazing co-working spaces scattered around the area. There’s The Harbor Entrepreneur Center on King Street, The Eves Collective in West Ashley, Holy City Collective on Daniel Island, and many more! So, if you’re thinking of starting a business, and you’re worried about finding an affordable place to work – don’t fret! There are plenty of local-grown co-working spaces already here. Whether you view Valentine’s Day as the most romantic day of the year, a made-up greeting card holiday, or the antithesis of everything happy in the world, today is still a reason to celebrate! Whether you’re celebrating love or choosing to just treat yo-self, we’ve rounded up the top V-Day activities the Holy City has to offer. (Because exercise gives you endorphins and endorphins make you happy.) If your Valentine is more of the adventurous sort, head over to Wild Blue Ropes Adventure Park. For just $50 per couple, you can tackle that big, bad ropes course. What better way to say “I love you” than with a heart-pumping ropes climb? If you’re that hopeless romantic, hop on down to the Terrace Theater for the second annual Valentine’s Date Night. Local jeweler Croghan’s Jewel Box teams up with the theater to show the cult classic, To Catch A Thief. Grab some popcorn, forget the roses, and impress your date with your classy taste for classic films. Stupid Cupid. Maybe you don’t believe in the holiday or maybe you’re licking your wounds from a relationship gone bad. Whatever your reason for not feeling all mushy gushy, you’re not alone! Local bars The Brick and Charleston Beer Works are each holding anti-Valentine’s Day parties. With drink specials, speed dating, and even a pinata giveaway (no, really) these two bars will make sure you end the night on a high note. Who doesn’t like enjoying a few drinks with their special someone? Frothy Beard is have a beer and cheesecake pairing. They’ll have 4 of their delcious beers available to pair with “fun flavored” cheesecakes. Not a fan of sweets? No worries, Edmund’s Oast Brewing and Bendy Brewski Yoga are hosting a yoga for beer lovers class. We know, it’s hard to choose just one.